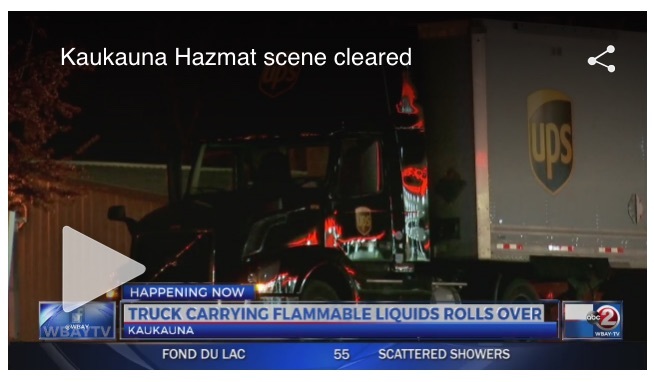 KAUKAUNA — The area near the Kaukauna UPS Depot reopened about 6:30 p.m. this morning after crews finished cleaning up a hazardous materials incident. 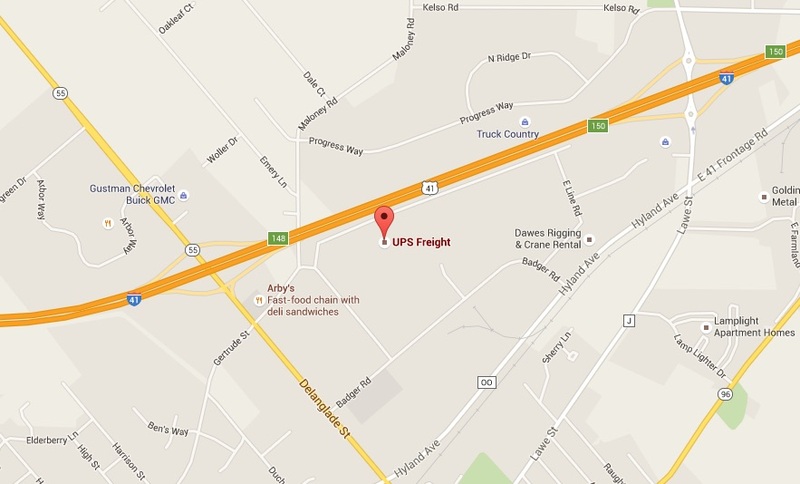 The facility is near the I-41 and Wisconsin Highway 55 interchange on Kaukauna’s north side. Emergency crews responded about 12:30 a.m. Tuesday, May 10, 2016, for a report of a truck carrying flammable liquids had rolled over, according to WBAY-TV. No chemicals leaked and there were no injuries, according to officials. The truck was removed about 6 a.m.